Giancarlo Guerrero has won five Grammy awards, and under his leadership, the Nashville Symphony recently earned three Grammys for its recording of Michael Daugherty’s cello concerto, Tales of Hemingway. With eight recent World Premieres to his credit and three new records under the Naxos label to be released in 2017-2018, Guerrero is the dynamo behind the Nashville Symphony’s recent successes. He is the seventh Music Director in the Symphony’s 70-year history and recently had his contract extended through the 2024-2025 season. Stay Thirsty Magazine was very pleased to have a chance to visit with Maestro Giancarlo Guerrero at the Schermerhorn Symphony Center in Nashville for this Conversation. STAY THIRSTY: What is it about the Nashville Symphony that attracted you and persuaded you to become its Music Director in 2009? GIANCARLO GUERRERO: I was impressed by the orchestra’s virtuosity and I felt and immediate chemistry with the musicians. The orchestra was also in the process of building the amazing Schermerhorn Symphony Center which has now become the permanent home of the Nashville Symphony. STAY THIRSTY: Nashville is clearly well known for country music. Should we begin to think of it as a city well known for classical music too? Can a town of fiddles live and work with a town of violins? GIANCARLO GUERRERO: Nashville is Music City. Although country music is a part of its history, the city’s musical culture has expanded to embrace so many different genres. Now Jazz, Rock, Gospel, Bluegrass and other genres are being performed, published and recorded all around town. It is very natural for a city that cherishes live music to appreciate and celebrate a world-class ensemble like the Nashville Symphony. 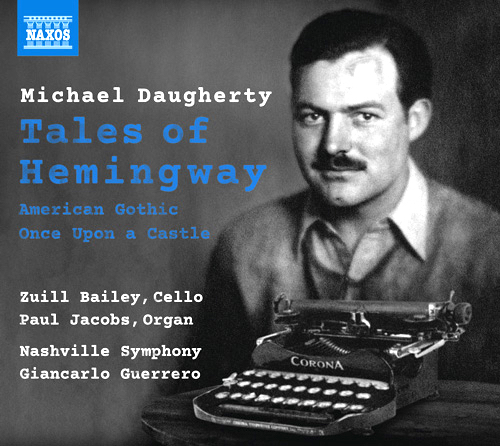 STAY THIRSTY: Under your direction the Nashville Symphony has earned eight Grammy Awards. What is it about your style and method that has brought this orchestra such acclaim? 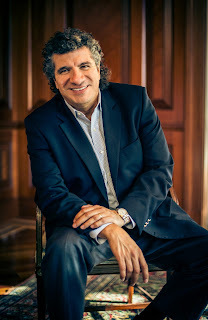 GIANCARLO GUERRERO: The Nashville Symphony is a virtuosic ensemble; the musicians always bring their full commitment to every performance and we are able to capture that incredible energy in our live recordings. The audience is also a key part of that equation. Because we record so many of our American commissions, they feel a sense of ownership of this music and their enthusiasm also adds to the electricity in the hall. STAY THIRSTY: You are a proponent of music education and mentorship. How did the Nashville Symphony’s programs of Young People’s Concerts and Composer Lab & Workshops come about? What do you hope to accomplish with these programs? GIANCARLO GUERRERO: I have been able to achieve my dreams because I was afforded important opportunities when I was young. It is imperative for musical institutions to create ways for young audiences to be exposed to classical music. The Nashville Symphony’s Composer Lab program aims to provide composers the chance to listen to their music played by one of the great ensembles in the United States. This helps them continue to grow in their craft and gives the Nashville Symphony the chance to proudly champion these young musicians early in their careers. STAY THIRSTY: How did the construction of the new Schermerhorn Symphony Center help solidify the orchestra’s importance in the 21st century? Are grand buildings a blessing or a curse financially for orchestras today? GIANCARLO GUERRERO: The Schermerhorn Symphony Center has become an indispensable anchor in the daily life of Nashville. It is the perfect venue to experience classical music in all its glory but it also serves well its primary purpose of enriching Nashville’s musical life. STAY THIRSTY: You have conducted orchestras throughout the United States, Europe and South America. How does the Laura Turner Concert Hall in the new Symphony Center stack up to other venues, both acoustically and as a performance platform? What would you change, if there is a future renovation? GIANCARLO GUERRERO: The Laura Turner Concert Hall has some of the best acoustics anywhere in the world. Being able to make music everyday in such a great space makes it possible for me to be able to work on the smallest details, and that facilitates the orchestra’s constant artistic growth. STAY THIRSTY: What symphonies do you have on your short list to record in the future? Are there any emerging composers that you are considering? GIANCARLO GUERRERO: We are in the middle of finalizing about four different recording projects that we can’t yet name, and we are always in discussions with composers about future commissions. STAY THIRSTY: When you are by yourself, what music roams around in your head? GIANCARLO GUERRERO: Rush, Emerson, Lake and Palmer, Chick Corea, Pink Floyd, etc, etc. STAY THIRSTY: Do you ever have plans to record other than classical compositions? GIANCARLO GUERRERO: Not at this point but you never know what the future holds! STAY THIRSTY: What one piece of advice can you offer young musicians who would like to become Maestros one day? GIANCARLO GUERRERO: There are no shortcuts. Only with hard work will you be able to achieve your goals; and the best part is that this not only applies to becoming a maestro, it works in every aspect of life.